When it comes to refreshment, nothing beats an ice cold beer (subject, of course, to you being of legal drinking age in your country of residence). 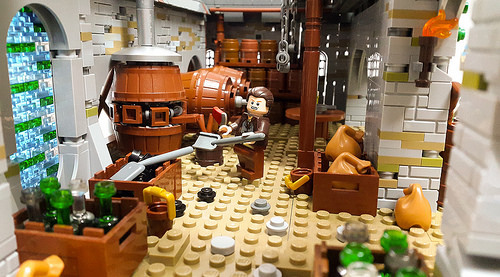 What could be better than combining beer and our favourite plastic bricks? 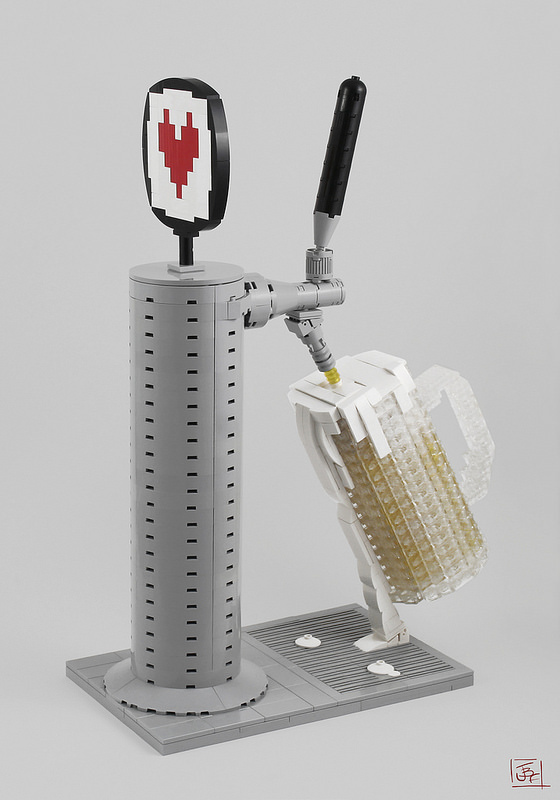 Jimmy Fortel must agree — he’s built a fantastic LEGO sculpture of a draught beer fount and a glass in the process of being filled. Now, I work for a big brewery in the real world, so whilst I admire Jimmy’s building skills, I have to take issue with the quality of serve on display here. There’s a lot of fobbing going on. I’d strongly suggest the bar owners check the dispense gas pressure on the beer line, and have a look at the cellar temperature whilst they’re at it. A quick line-cleaning might be in order too, just in case there’s a yeast build up. Jimmy’s really got to get the overabundance of beer foam sorted out, or the guys who run that bar are going to be decidedly unimpressed with the yields they get on draught — no matter how pretty the fount looks! 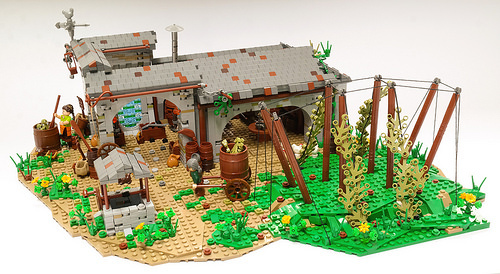 Rick Bewier has built a fantastic LEGO brewery scene, complete with an old-school dray lorry picking up its next delivery. 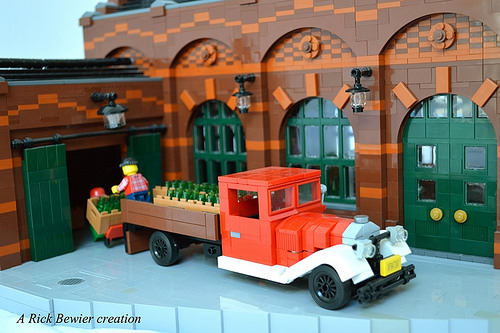 The truck itself is a nice little model, but what makes the scene for me is the excellent use of color in the building itself, and things like the sliding warehouse doors and the lights. I work for a brewery “in real life” and so I appreciated the other touches Patrick has added. 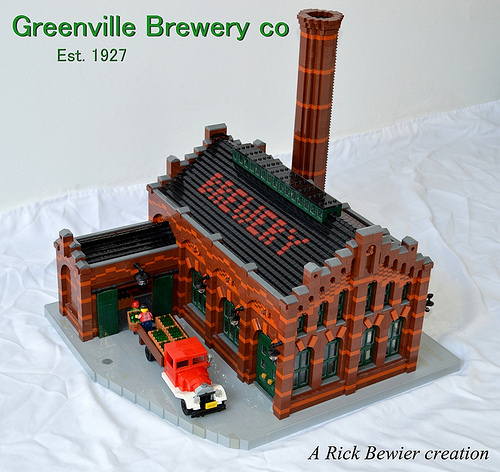 The roof is obviously pretty cool, but what I particularly liked was the chimney — a spot-on detail for a compelling recreation of a classic redbrick Victorian-era brewery.